But I get to tell my story bout Super Bowl Sunday first !! I came in for 5 minutes from the cold outside and now there's a ruckus going on. I guess I have to investigate. *sigh* At least I didn't take my sweater off yet. 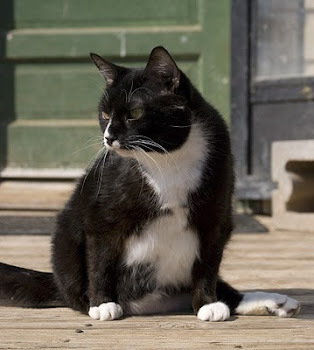 I tried to come inside for just 5 minutes as I felt weak and needed a Fancy Feast fix. Then a ruckus started outside so I had to go see what was going on! This being in charge is hard! Candy and Gruffy were talking and decided they wanted to be in on this Super Bowl thing. 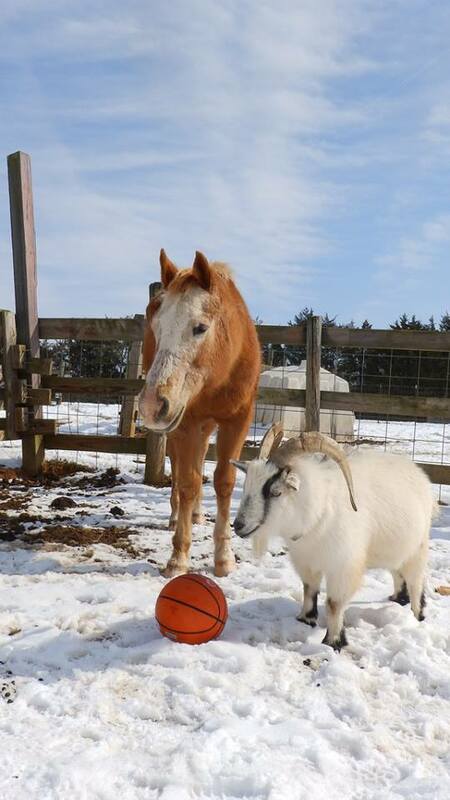 The Colts were playing after all so Candy thought she should get a team together. Since she's the only horse here she decided to recruit the goats for help. 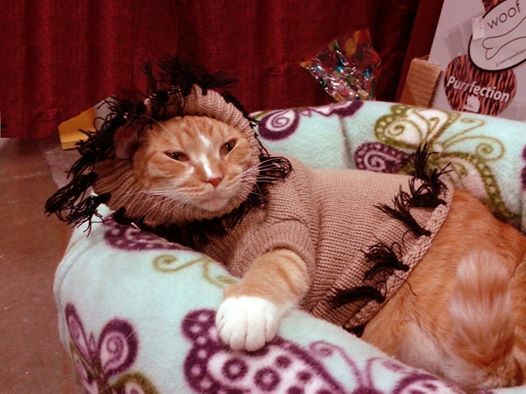 She started with Joey, Sally and Jessie who were less than impressed with this idea. They were busy they said sunning themselves and didn't want to be in on this game thing. PLEASE SHARE THIS GoFundMe !! 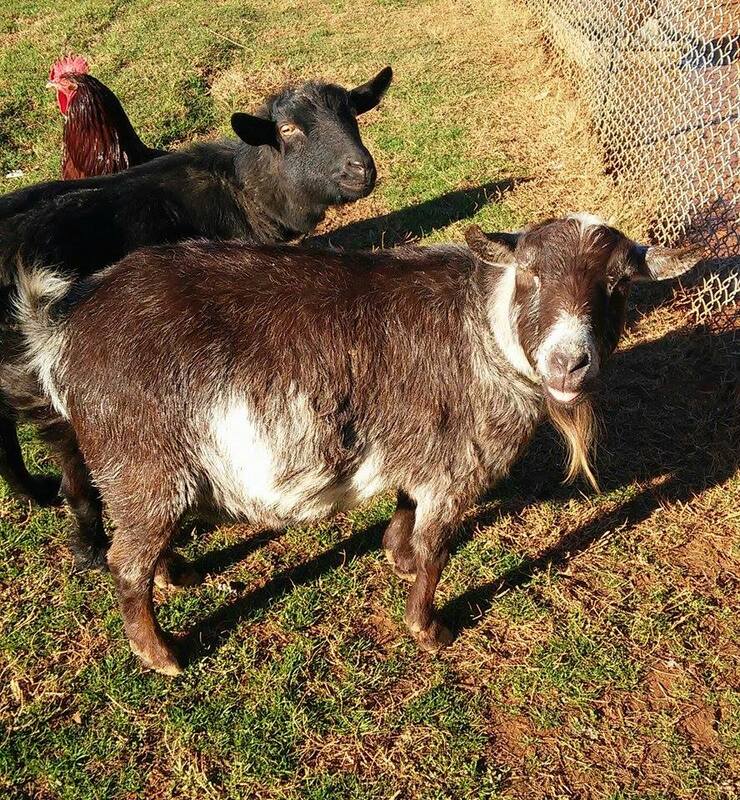 Rikki's Refuge Animal Sanctuary cares for more than 1300 rescued farm and domestic animals. During the winter months, increased amounts of hay and grain are needed for our farm animals that call the sanctuary home. For the cows, goats, sheep, horse, donkey, and even the pigs, this need alone amounts to the tune of $800 a week. WE NEED YOUR IMMEDIATE HELP! 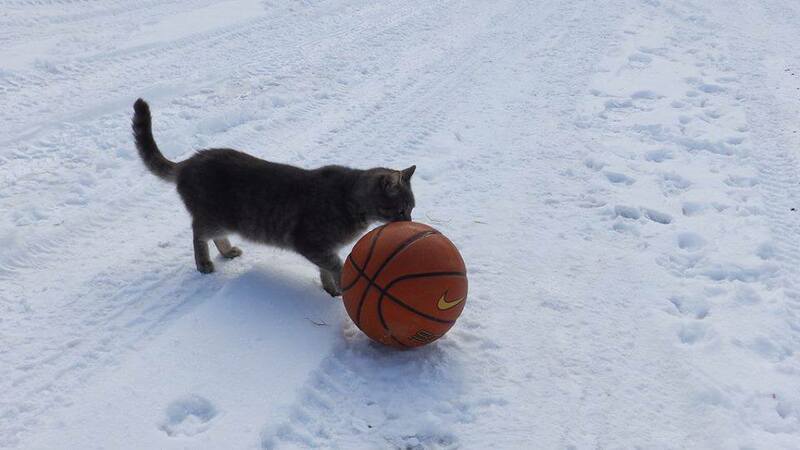 In the meantime, Husky said well then, the Panthers are playing so I think all the cats will organize and play too. 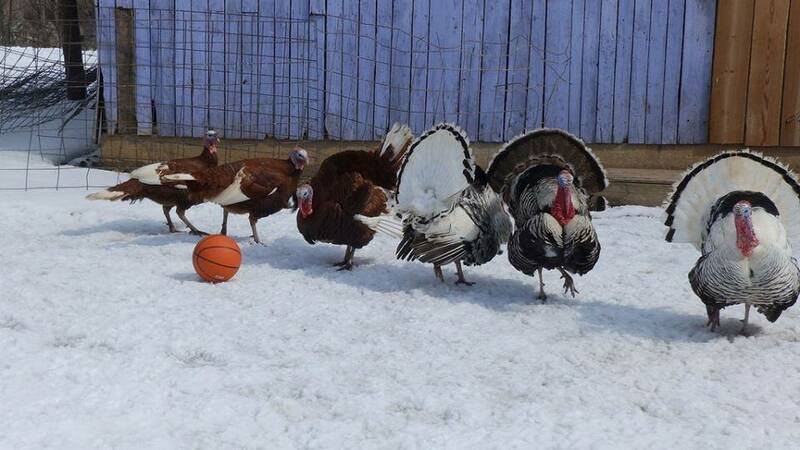 The turkeys chimed in that they would like to play but since there were already 2 teams they would be the referees for the game. But both teams would have to follow the rules. 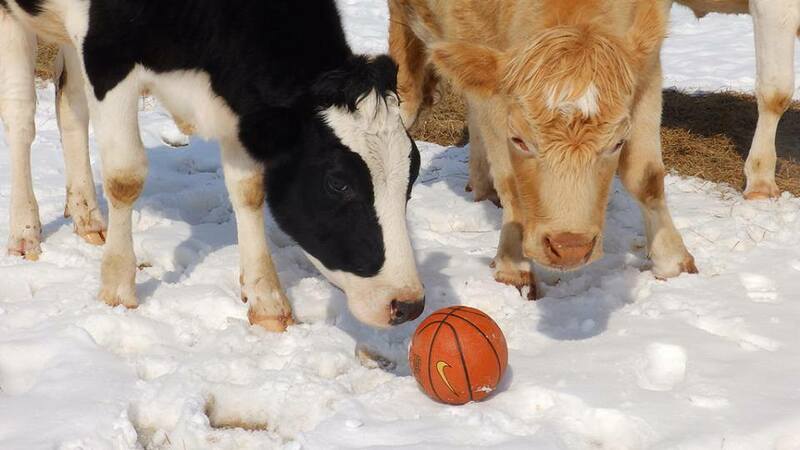 William and Calvin wanted to play but the teams were already made so they would take care of ball inspection since they heard that it was very important the ball was in good shape. 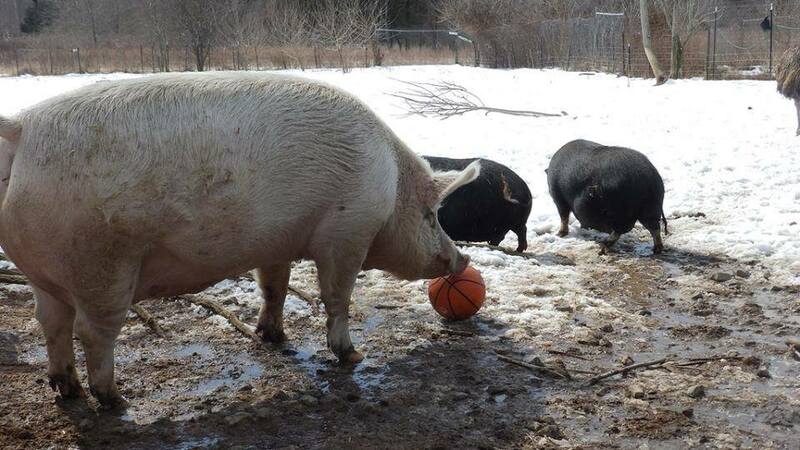 Petunia and the other pigs wanted to play but the snow was an issue and couldn't everyone wait until it got warmer and there was more mud? And then the yelling and fighting started. Nobody liked the rules the turkeys came up with. 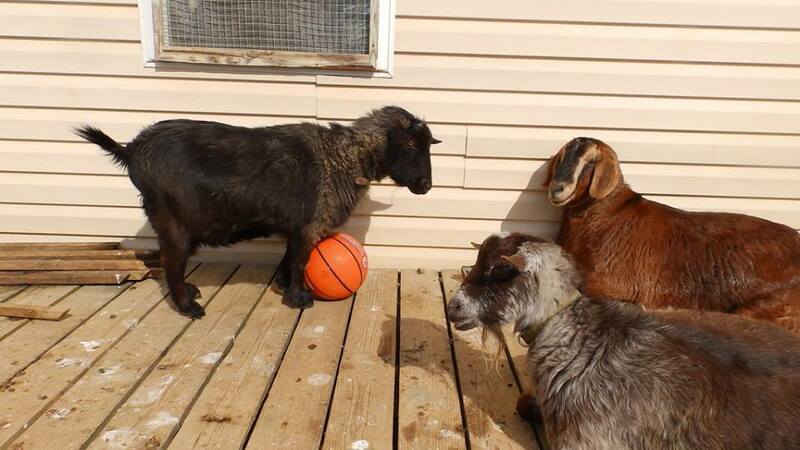 The cats said it wasn't fair that the other team all had hooves and they could get trampled. The sheep and emus were all pouting because they weren't invited at all and it just .... wasn't .... fair! That my friends is when I lost it. I tried to get some help from Beauty who just wasn't concerned in the least about my problem. All she would say was as long as everyone is safe it's all ok. My job is to keep them safe and that's that. And then..........then............Mikado pipes up from the pool. Not that anyone asked me or anything but you know the Super Bowl is a FOOTBALL game right? And everyone said ya, so? You don't have any footballs, those are all basketballs! And so everyone went back to eating and sleeping since they certainly couldn't play football with no footballs. As for me? I have a headache. 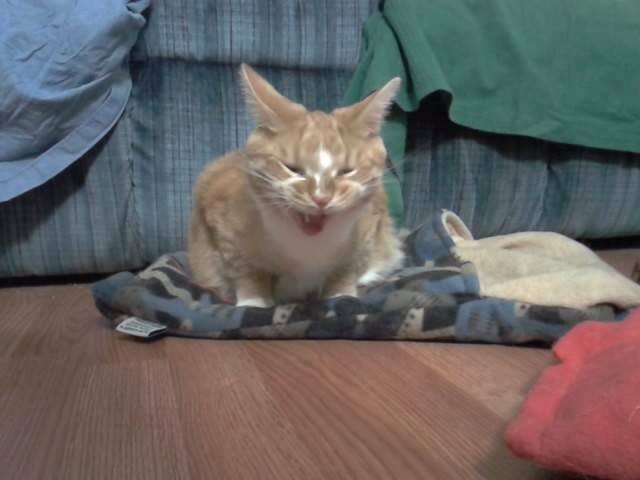 I didn't get my nap, I missed at least 2 snacks and I didn't get any work done today and I’m so terribly worried about my Daddy Fred! Mom is counting on me and these...these animals are not helping! Can you help me make up for it? 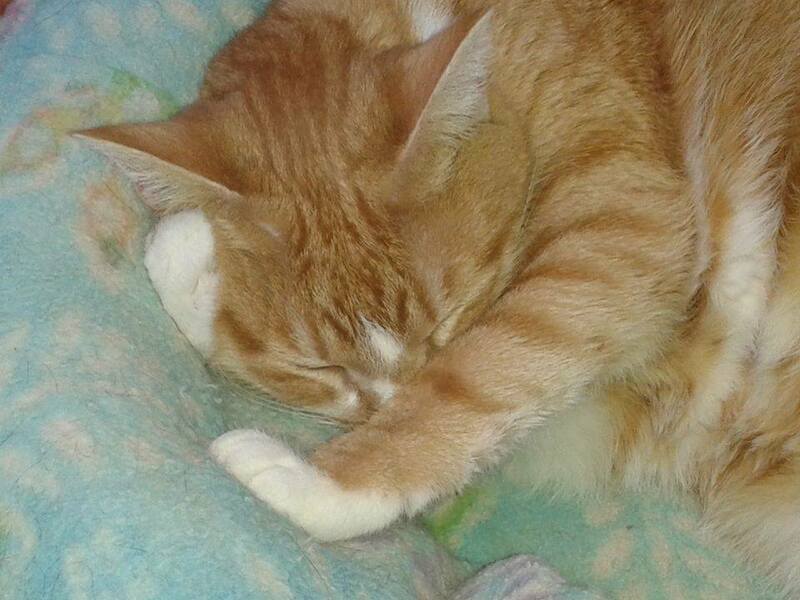 Please help me keep Rikki’s Refuge running .... I’m so scared bout what’s gonna happen if Mom can’t come to work, and we don’t got no money for food and everything .... and Mom has to decide .... no more Rikki’s Refuge. This is the road that leads to Rikki's Refuge. For many animals, this is the road that leads them to a second chance at life. We want this road to be one that leads to peace and safety. 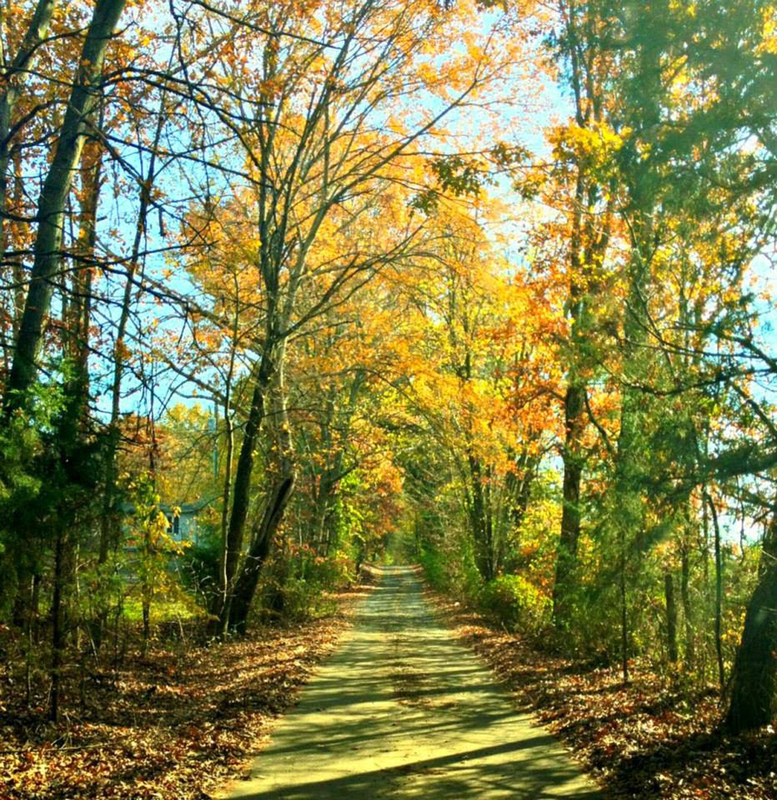 We want this road to ALWAYS lead to Rikki’s Refuge. 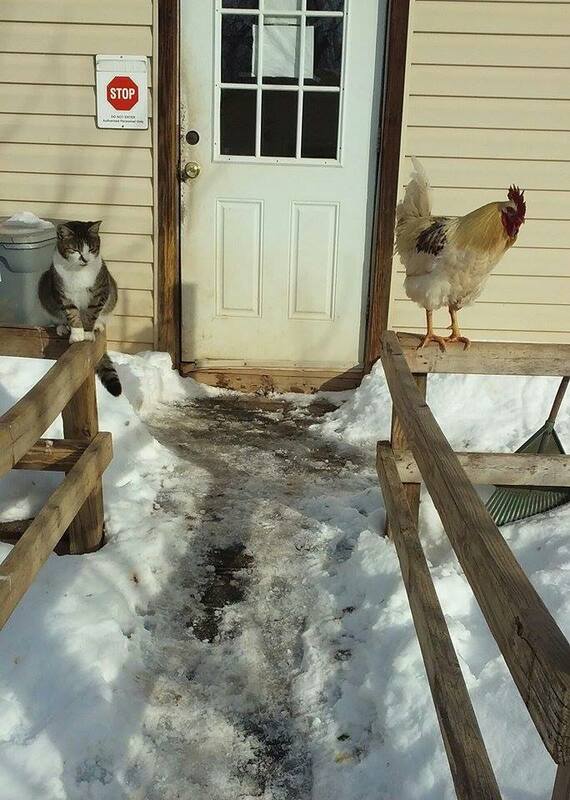 The animals here deserve this! I first saw the land in spring of 1998. An inspirational flash turned into a dream, then a plan, then Rikki’s Refuge in the summer of ’98. And the work began. The all consuming work. Rikki’s became the driving force in my life, and I’ve never looked back. 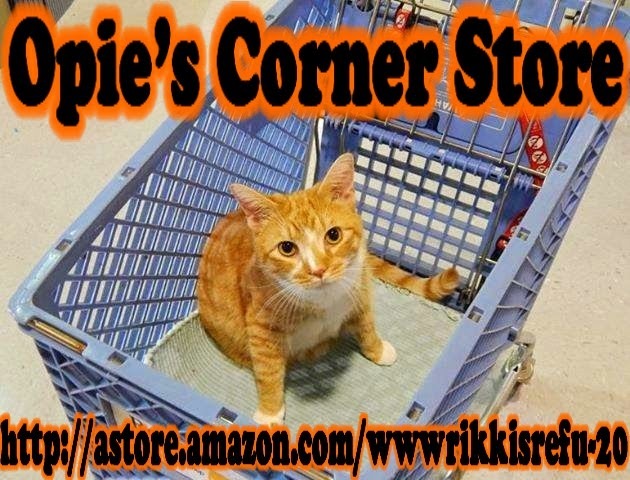 For 20 years now, I’ve been focused on Rikki’s Refuge and other animals I can reach out and help thru Rikki’s, for virtually all my waking hours. Many years ago I learned to sleep deep for four hours and feel refreshed, and thereby earned extra hours to do Rkki’s things. When people learn that I schedule 16 hours a day, 7 days a week, to Rikki’s, they tend to feel sorry for me, to tell me to leave time for myself, to tell me I need days off, to act like those hours are an ordeal for me. But to me, it’s not an ordeal, it’s getting to spend my time doing what I want to do, what I love doing, saving lives. I know that every moment I’m not working on Rikki’s and animal things .... somebody dies that I might have been able to save. And there is no better feeling in the world, than knowing you saved a life. There are so many lives that need saving, unexpected things come up, and so my expected 16 hours a day, often morphs into 18 or 20 -- so often that it’s really the norm. Just give me my 4 hours of sleep and some nums to shove in my mouth occasionally ... and I’m happy. Very happy. The only time I’m unhappy is when I can’t devote everything to Rikki’s Refuge. 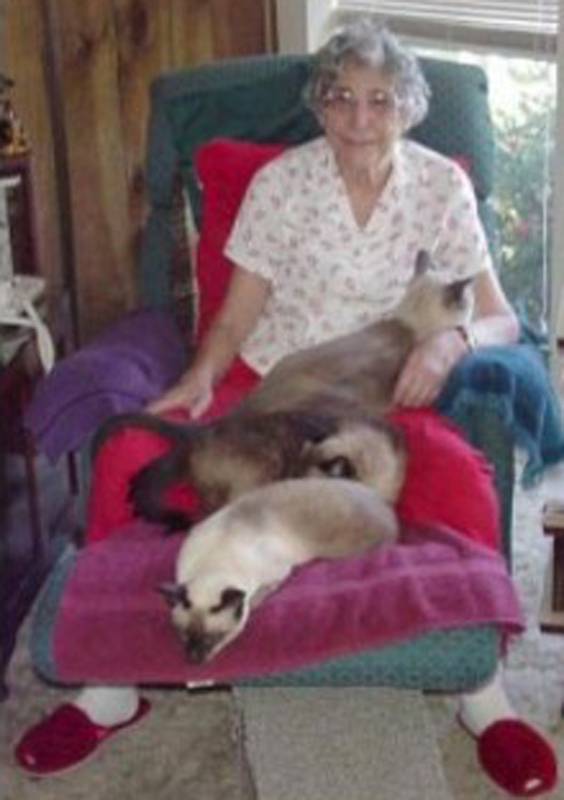 When my mom was ill in 2004 I turned my attention to her. She moved to Orange so I could spend more time with her. I shared my time with her and Rikki’s Refuge. Unfortunately she passed away not long after moving here. Then I sunk myself back into Rikki’s full time. 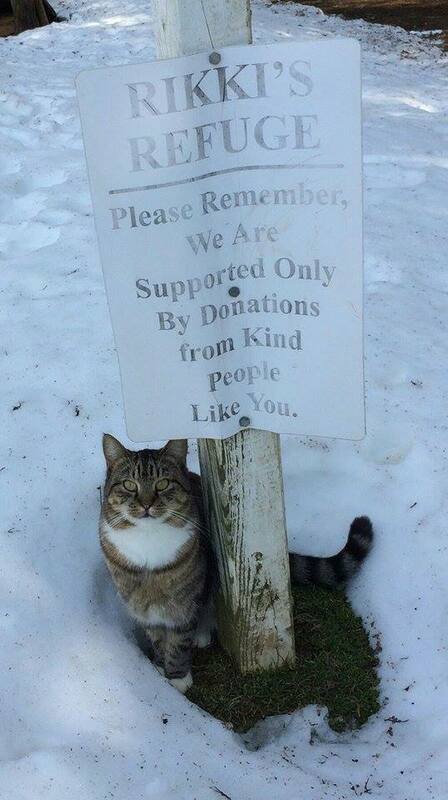 I’ve always been a volunteer. After all, when you devote virtually all your waking hours to a cause, you really don’t need much spending money !!! No vacations, no fancy clothes ... gee I don’t think I own anything anymore except Rikki’s T-shirts and jeans! Fred, my partner of over 30 years, continued to work in the real world and shared enough with me to keep me from starving !! 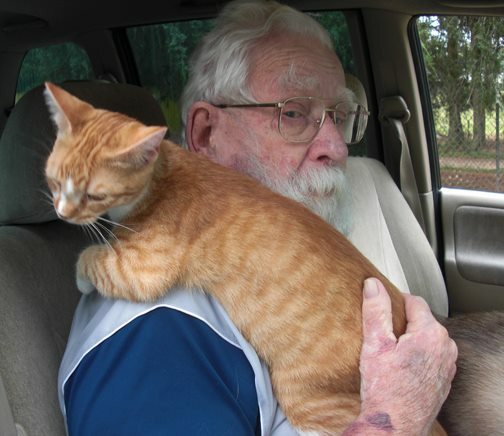 Then in 2012 my dad needed help and could not live alone so he moved to Orange. For the next three years I cared for him, having to devote the majority of many days to him. It became rough to keep up with the work I did at Rikki’s. Very rough. Many things fell behind. I do a great deal of the administrative things and the fundraising, a lot of work in our hospital, and helping with all kinds of daily chores, building, cleaning, picking up supplies, picking up and delivering animals, what ever is needed. Some folks helped to take on some of my chores. Others became overwhelmed with taking some of my responsibilities and ended up burned out and leaving. I continued to carry a large load with paper work, compliance, accounting, administrative, a lot of medical work, and a huge amount of the fundraising. Much of the fundraising I do is thru writing and thru speaking events. When I’m physically caring for someone, I’m not able to get out and do speaking events. Writing becomes hard when someone you love is ailing. Just try writing something upbeat and fun while sitting in a hospital room worried sick. Not so easy. And so I fell behind in my duties. We used up the reserve Rikki’s had. 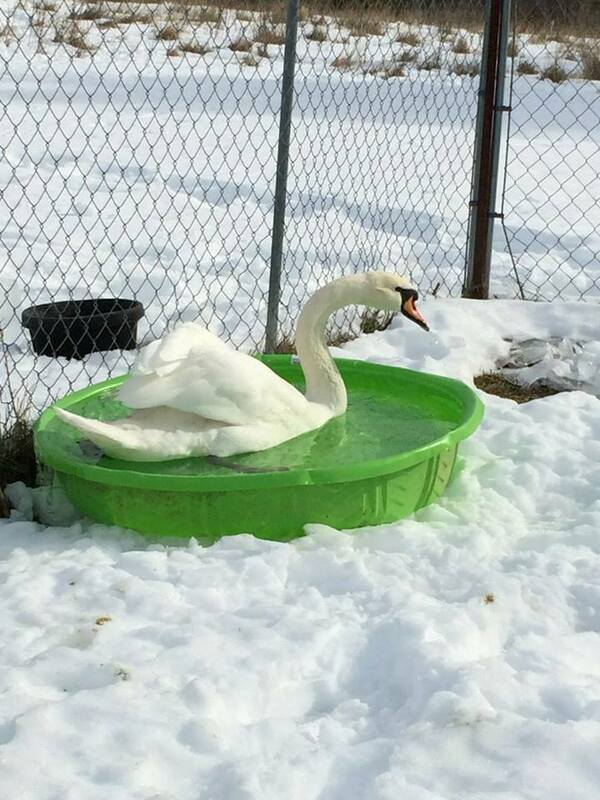 With 1300 animals, even if each one requires only $1 a day for basic care of food, water and sanitation ... a little math will tell you funding Rikki’s Refuge is a HUGE undertaking. Yet it must be done daily without fail. If one day of fundraising is skipped .... it puts Rikki’s in the hole ... miss 3 or 4 days ... even a week .... and that debt becomes huge. I had to find loans. Shortly after my son returned from worldly travels to take care of my dad, I became quite ill. Some said it was exhaustion from too many nights with no sleep trying to do everything that needed doing to keep Rikki’s going. Some said I was just too old and washed up and no good anymore. But I got better ! It was slow going at first, but after a few weeks I started getting stronger everyday. It was a good six months before I had my strength and stamina back and was able to work 16+ hour shifts again. But I made it !! And we’ve been doing wonderful things for the last several months! Fundraising was catching up, we began to catch up on building and repair projects at Rikki’s Refuge. But the snow wasn’t the disaster ... just more work and extra shifts for the few of us who stuck with it. Over half our staff quit over the snow. 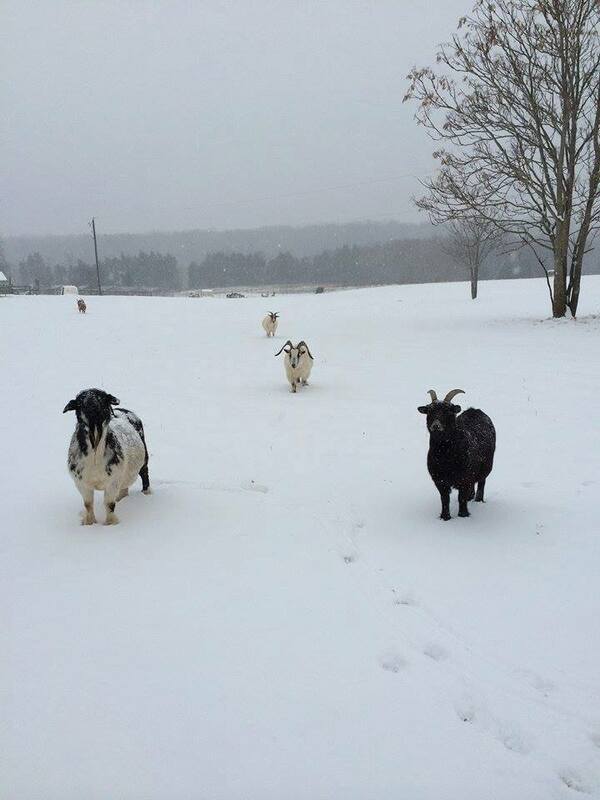 Now everybody agrees before they are hired, that when it snows, they stay nights at the life center to make sure the animals are cared for just like they would be any other day. They all said they’ were so excited, but as the snow began to fall that Friday ... one by one they finked out and left. Many never to return again. 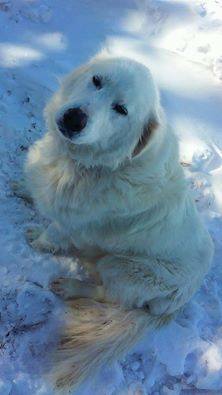 Rikki’s survived just fine thru the snow ... no disasters ... no buildings damaged ... no animals harmed. But the real disaster for me struck after the snow stopped falling. Fred, my heart and my forever partner of well over 30 years, was shoveling snow in Fairfax where he lives and works - except when he comes down many weekends to visit me and volunteer at Rikki’s. He felt weird .... he dropped the snow shovel .... and he could not pick it back up. He knew something was wrong and called for help. 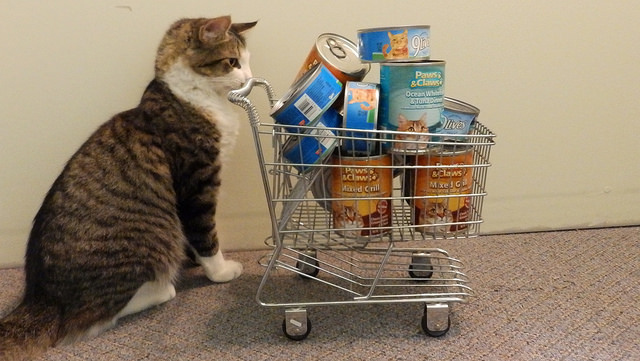 “Did you know YOUR donations allow us to go shopping for NUMS? 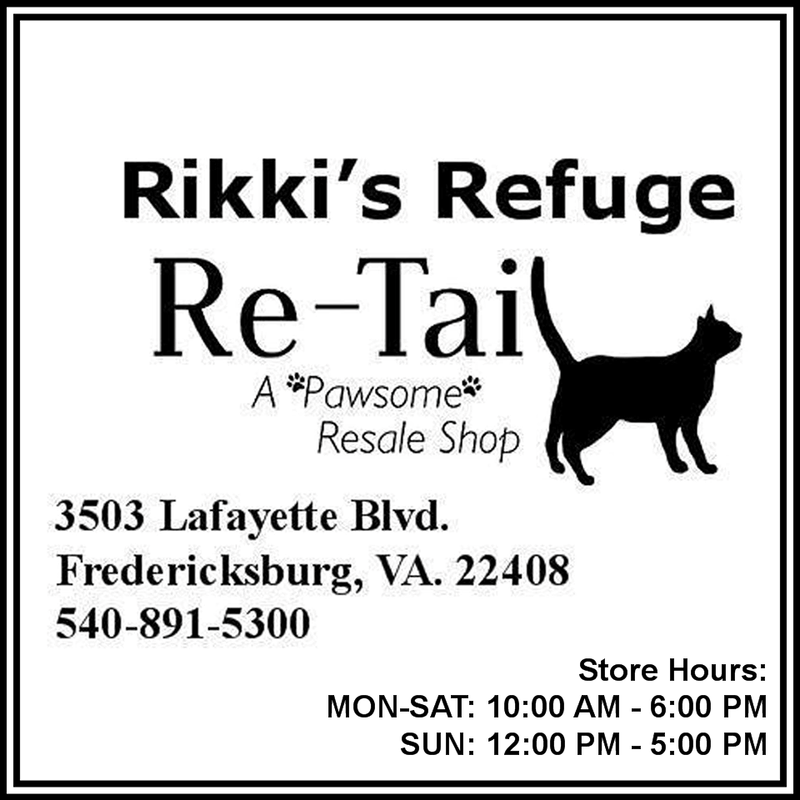 Thank you.” Darwin who’s currently residing at Rikki’s Refuge’s adoption center at Re-Tail our Thrift Shop in Fredericksburg. 3503 Lafayette Blvd. That’s on the Spotsylvania side of Lafayette. Come visit me ! In Fairfax Hospital they found he’d had a stroke. His right side was pretty useless. 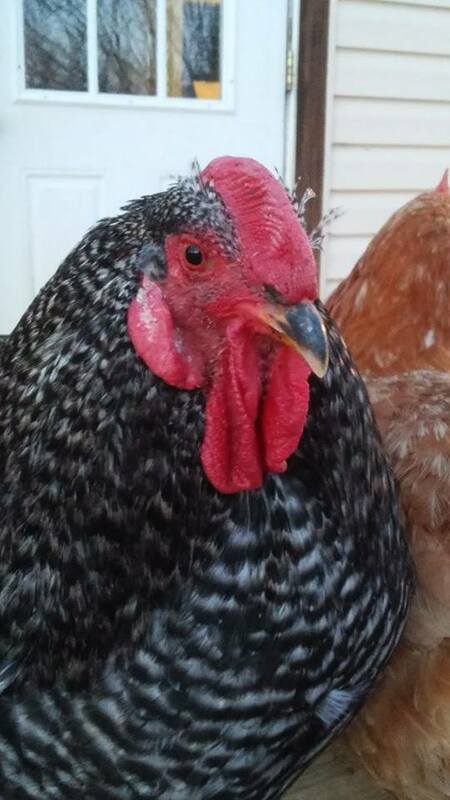 Now, after two weeks or treatment and rehabilitative therapy, Fred is, thank goodness, doing much better than expected. Though he still has some more obstacles to overcome and after he’s home later this week he’ll need a lot more therapy. He’ll be coming to stay in Orange as he’ll need quite a bit of help. While he’s in rehab in the hospital, I’ve been and will continue to drive 5-6 hours a day round trip to be with him. To visit as well as attending therapy with him to learn how to care for him at home and how to help him exercise. I’ve tried the best I can to keep doing what I can for Rikki’s during this time. But I’ve had so little time to spare for Rikki’s. 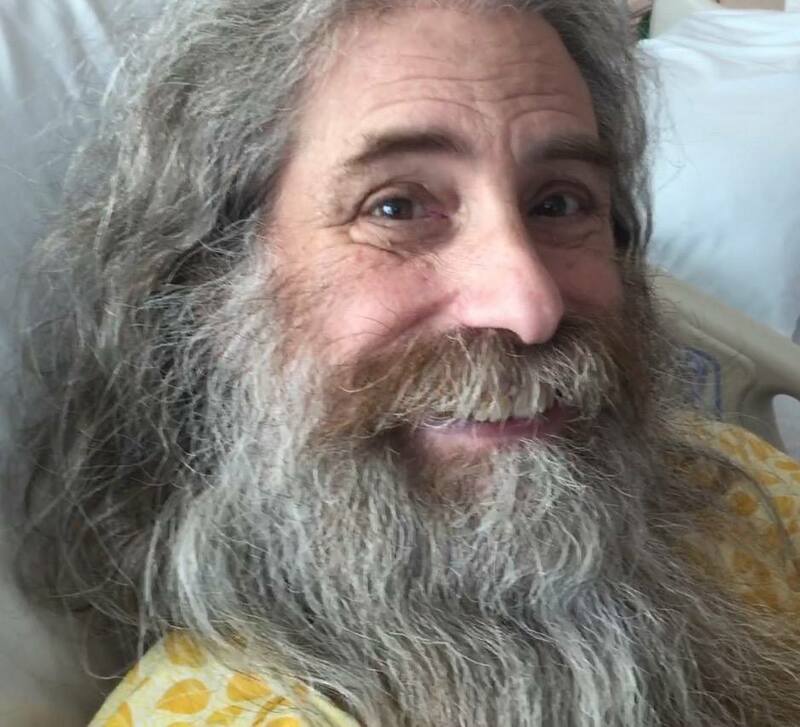 As you may know, Kerry Hilliard's partner and Opie's daddy, Fred Friedman, is recovering from a stroke and is in rehab. 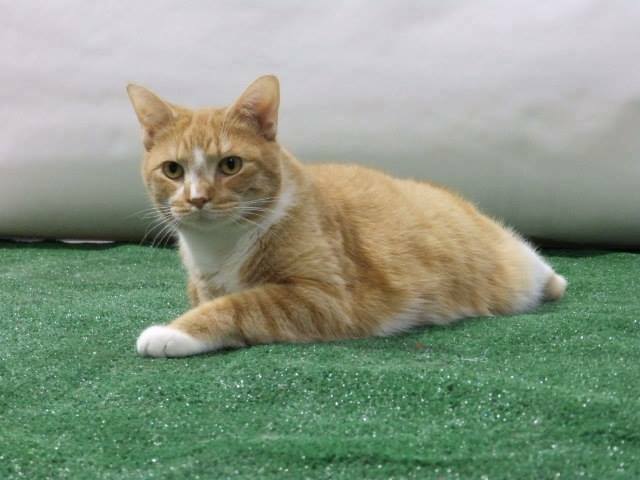 Opie is trying hard to keep things running so his mom and dad can be together and get Fred home soon. So Opie has a great idea! For a donation of $10 to Rikki's Refuge, he will mail Fred this Bouquet of Fancy Feast! Let's fill the walls of Fred's room with these bouquets! Just send $10 via www.PayPal.com to: mail@RikkisRefuge.org or donate at www.RikkisRefuge.org/Donate and add a note stating what you would like the card to say! 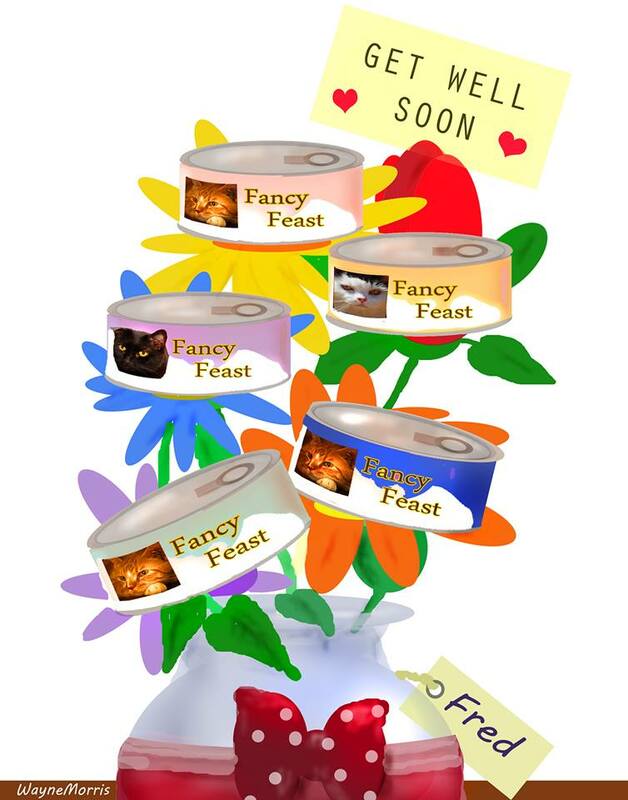 Fancy Feast and well wishes will go a long way in recovery!! Fred really needs me now. I don’t know how long his rehab will be, how long before he can drive again and get to docs on his own. But I know I have to be there to help him. 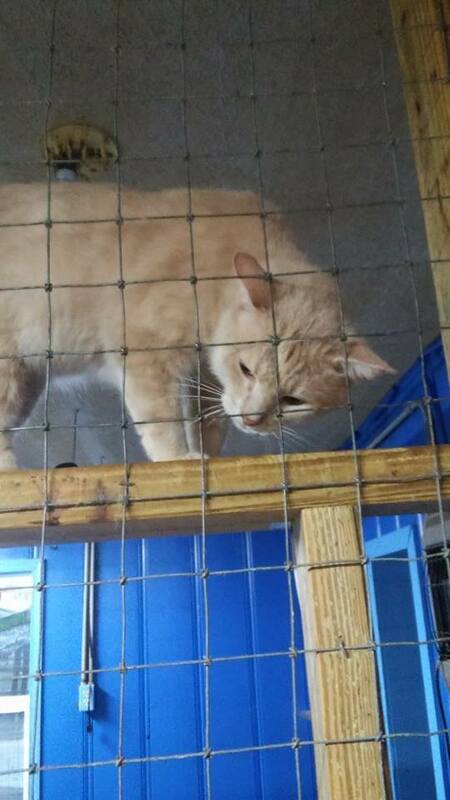 It’s a horrible choice to have to make --- Fred or Rikki’s Refuge --- yet I must give Fred as much of my time as he needs to recover from this devastating event. I’ll do what I can for Rikki’s, but it’s not going to be close to the necessary 16 hours a day. I’ve barely been able to do any fundraising the last two weeks. The little bit of reserve Rikki’s ended up with at the end of the year is almost gone. The mandatory bills for feeding, cleaning, medical care won’t stop just cuz I can’t be there. Feeding? Feeding won’t stop, will it? I need your help. Everyone. I need everyone to help with the fundraising. Please. Please don’t let Rikki’s Refuge fail while I take care of Fred and help him to reach his maximum possible rehabilitate level now. It’s so urgent that he work on therapy, that he make all his appointments, that I work with him. Yet every second I give to him, is taking my time of fundraising away from Rikki’s Refuge and bringing this dream one step closer to the end. 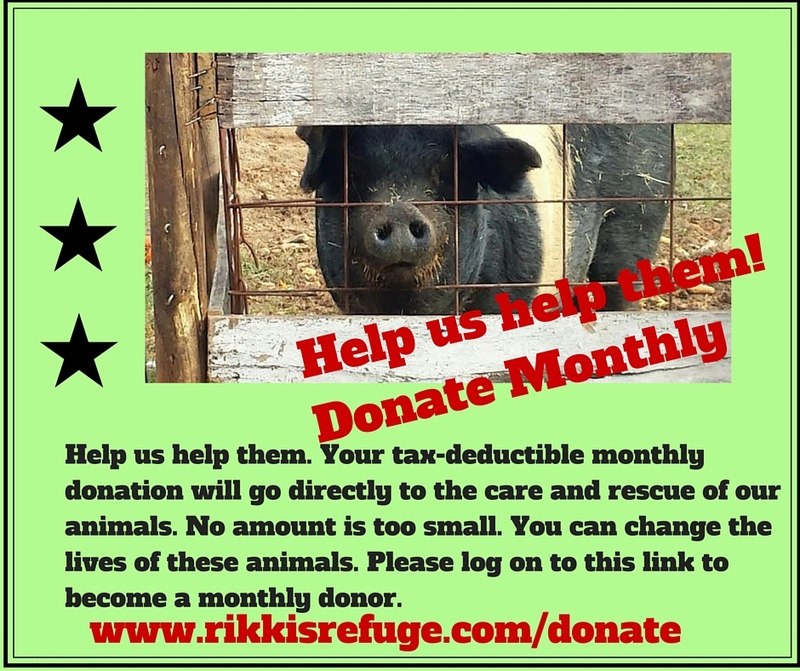 Did you know that you can become a monthly donor for Rikki's Refuge? If you can volunteer to help with fundraising now, please do. There are so many things you can do. Photos, writing, social media of oh so many avenues. Just let Lolly know that you want to help volunteers@RikkisRefuge.org and she’ll tell you how. So many kinds of fundraisers ... even just spreading the word of the Refuge ... SHARING social media posts. So many things only take seconds .... others take more time and concentration. 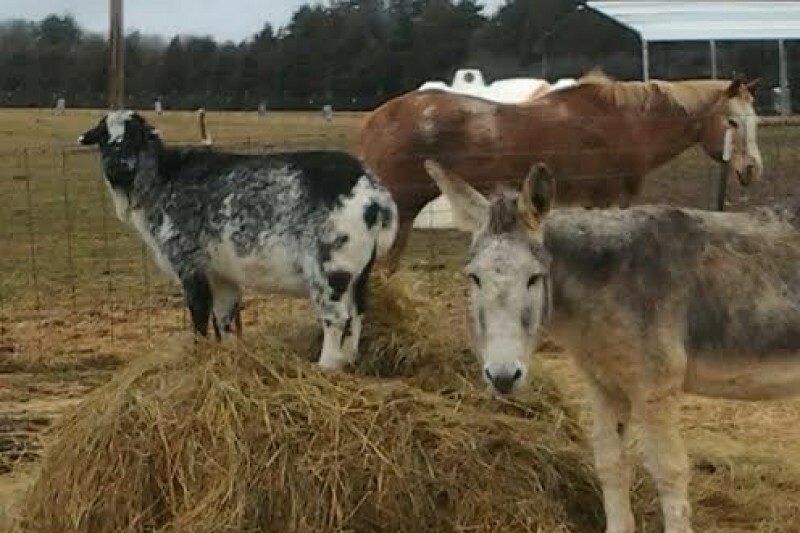 STAY CONNECTED with Rikki's Refuge Animal Sanctuary! I’m just worried sick about Rikki’s failing financially while I can’t devote my full attention. And if it fails ... I can’t even think what will happen to most of the animals. Please don’t let it happen. 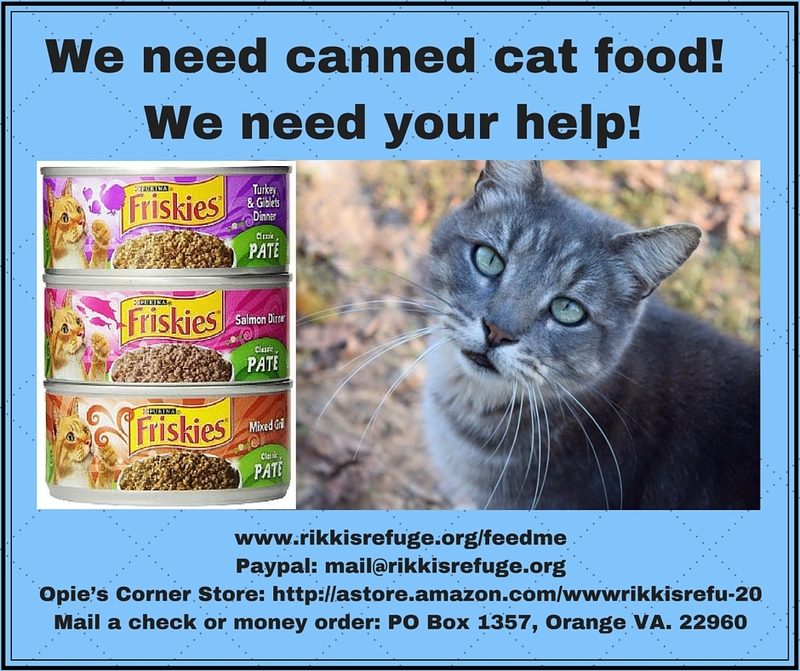 I often ask you to help with a special shipment of food, building a new animal neighborhood .... this time I’m begging you to help keep Rikki’s Refuge alive and saving animals. We also need physical help at the refuge. There are a couple staffing positions open. Learn more at 540-395-3339. Or volunteer. Some of the terribly important tasks are hauling a pick up truck of trash to the dump everyday. Washing dishes. Driving to pick up supplies, to take animals to and fro. 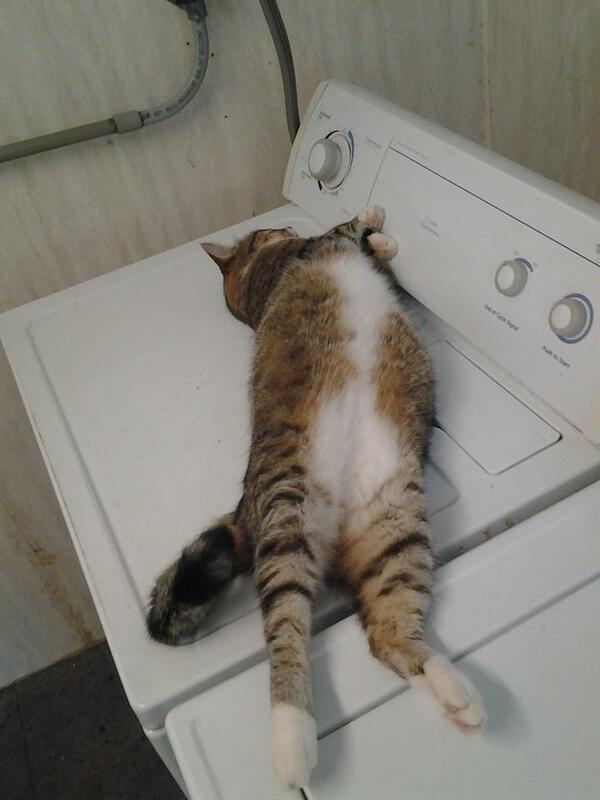 I’ll help out doing the laundry. 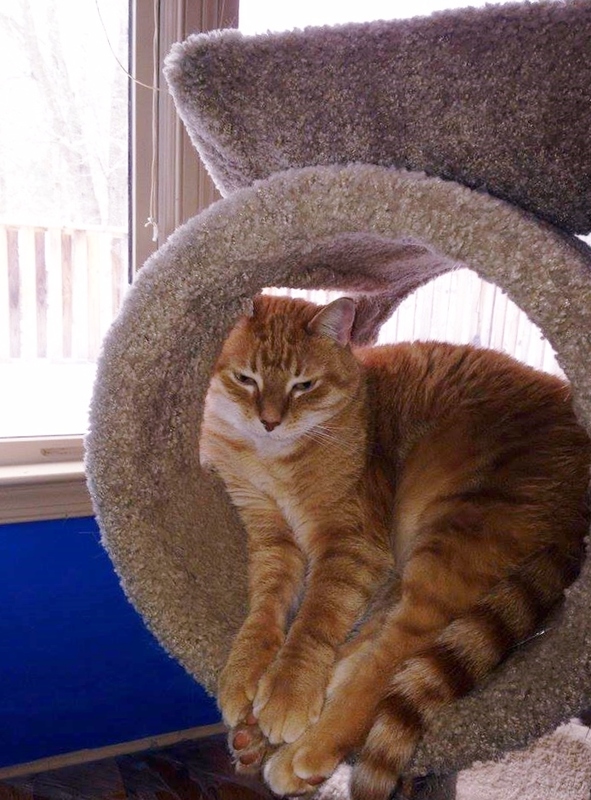 Captain, who’s called Rikki’s home for close to 15 years. Maintenance. For example we lost our hot water a week or so before the snow on one of those terribly cold nights ... the pipes froze. We’ve not had time to fix it, so all hot water now comes from the microwave and that is time consuming !!! We need roofing, we need painting, we need all kinds of building maintenance. And the funds to do it. We did raise the money for the fencing for the new herbivore area and the fencing has been delivered. But we haven’t had the chance to put it up .... too few staff and volunteers and everyone working just on absolute necessities. When there’s not enough grass ... or the grass is covered in snow ... or the grass is stomped down into mud .... it costs $800 a week in hay to feed everyone. Fencing in the new area will help tremendously with that ... for all situations except snow !! But really, it’s usually one of the other reasons that we’re just burning money to turn it into hay. Willing to volunteer? 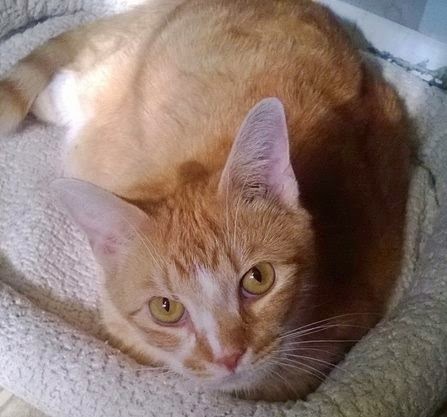 Just let Lolly know that you want to help volunteers@RikkisRefuge.org and she’ll tell you how. So many things that need doing. We’ll handle hospital security! Twix and Robert. 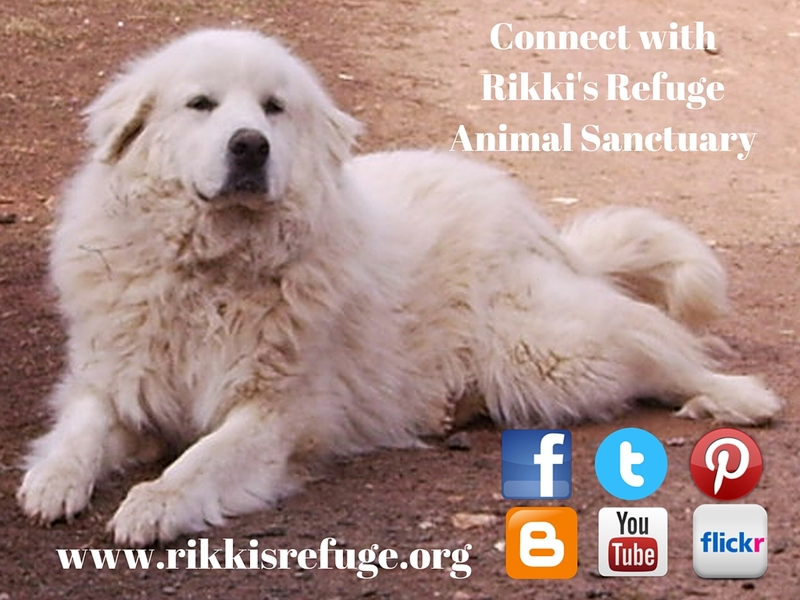 You all have helped in many ways to build this dream we call Rikki’s Refuge ... 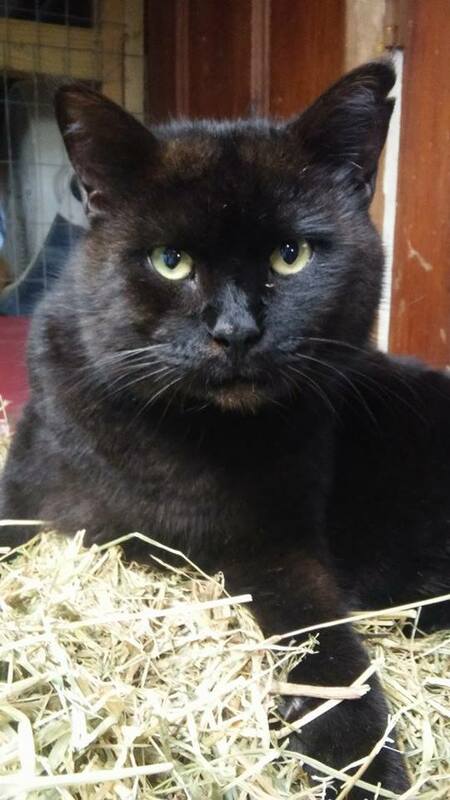 I need you so desperately now to take over much of what I usually do ... the fundraising is the most important ... without money, we can buy no food, no medical care, no medicine and no staff to care for the animals. What it all boils down to is we can’t keep animals if we can’t keep up with their necessities. So many of the few hours I’ve been able to be in bed, I’ve not been able to sleep thinking about what this really means, literally sick to my stomach at the thought of the options I might be forced to make if we can’t find a way to keep up financially without me spending most of my day fundraising. 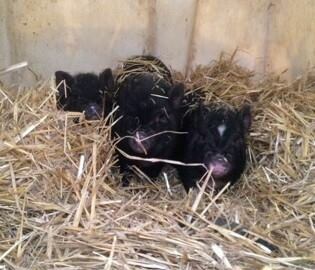 I’ve saved these animals, I’ve promised them life, a good life .... will I have to take that promise away? I don’t even know if I can survive thru that if I have to make the worst choices possible. I simply cannot devote enough time to volunteering for Rikki’s right now. I need you so very bad. Artist Wayne Morris has provided this whimsical creation as a Rikki's Refuge exclusive to help Opie raise money for the Feed Fund! 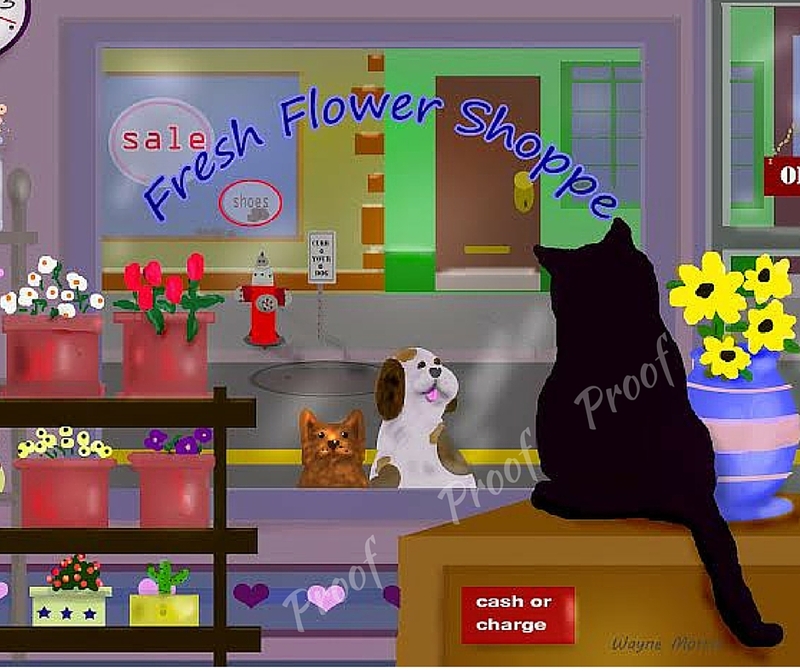 For your $10 donation to Rikki's Refuge, you will receive a digital download of this Wayne Morris Original that you can use to print photos, put on cards or other private uses. **please make a comments in the notes that your donation is for the "Wayne Print"
With Fred unable to work, I’ll have to be the one to bring home the tofu. I haven’t even figured out how or when that will be possible. And I’m just blocking from my mind now all the bills that will be coming in. Can you spell terrified? Yet even more thankful Fred IS here and he will get better ! That is the driving force that will keep me going. Oh my gosh ... this could have been so much worse, so I am very thankful. Get your thinking caps on - naming contest coming soon!! I’ve been told for at least the first two weeks that Fred is home, he’ll need someone with him all the time. Therapy will be an hour or more away in Fredericksburg or Charlottesville ... five days a week for a while ... and he needs physical therapy, speech therapy and cognitive therapy ... so it will be a lot more than an hour of therapy a day !! But we must do it so he can get fully well as soon as possible. Please help me. Once I have Fred back on his feet and doing better than he’s ever been .... I’ll be back and I’ll put every hour I possibly can into Rikki’s Refuge once again !! I can’t wait to get back to my Rikki’s work. Pray that Fred is totally recovered and I’m back to 16+ hours a day at Rikki’s as soon as possible. Thank you so much for your kindness, understanding and help. I truly cannot do it without every one of you. 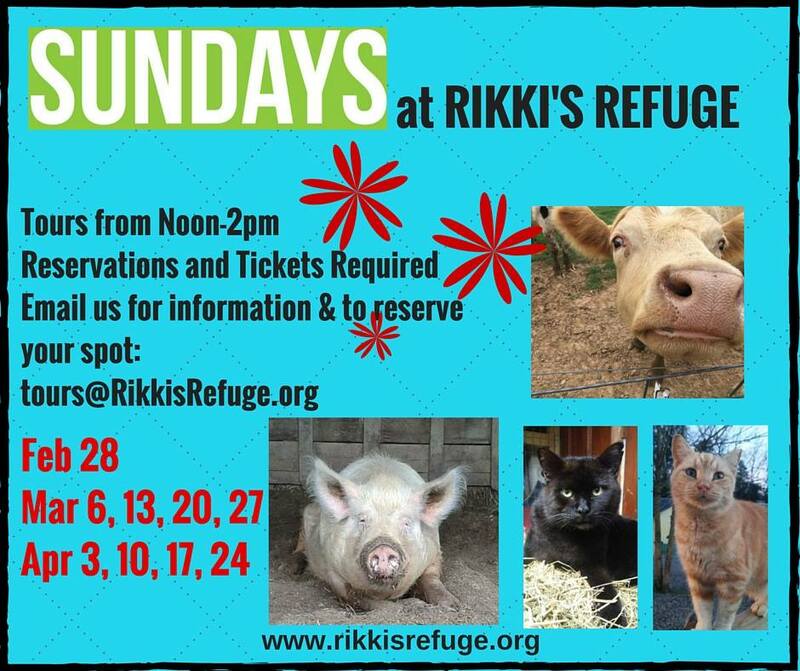 Rikki's Refuge is in the running! Will you help us and VOTE for us in the "Reward A Rescue" Contest? 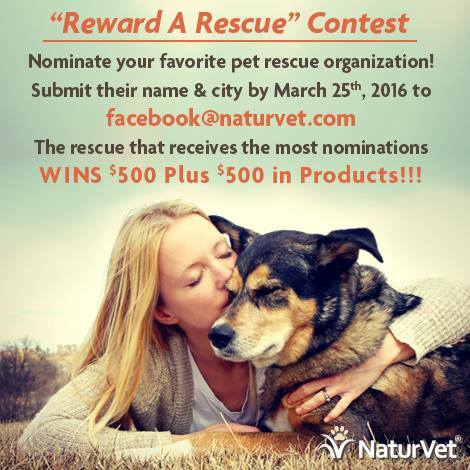 One lucky rescue will get $500 and $500 in NaturVet products!! To nominate your favorite rescue (us! 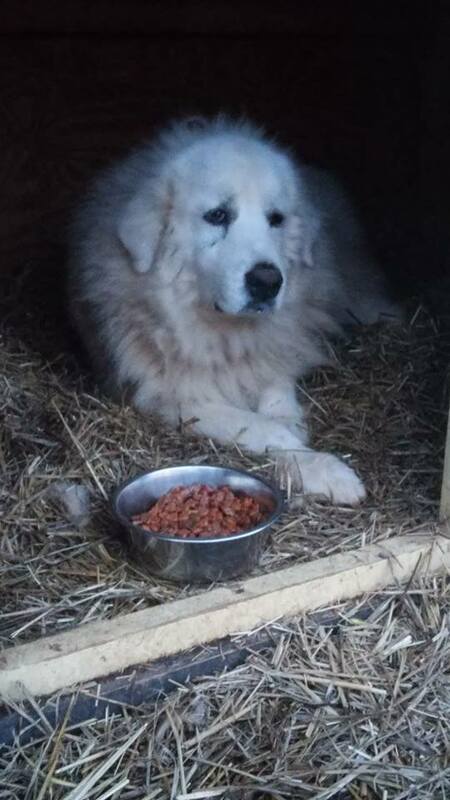 )...Send an email with the rescues name and city where they are located (Rikki's Refuge, Rapidan, VA) to Facebook@naturvet.com ! All entries must be received by March 25, 2016! Back to me, Opie. Wipes away tears. I so wish I could comfort Mom .... she and me ... wez never been so sad before. Some how I know YOU and me, we’ll save Rikki’s Refuge. I keep begging her not to worry and let me and YOU do the work ..... right now I think she really needs some time off. Please pray for my Daddy to get all well .... and for EVERYBODY to chip in and keep Rikki’s Refuge alive for ever and ever. It sure has been a long day. 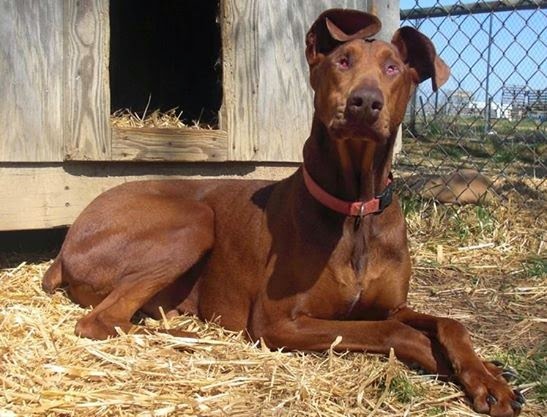 Don’t forget to HELP US SAVE RIKKI’S !